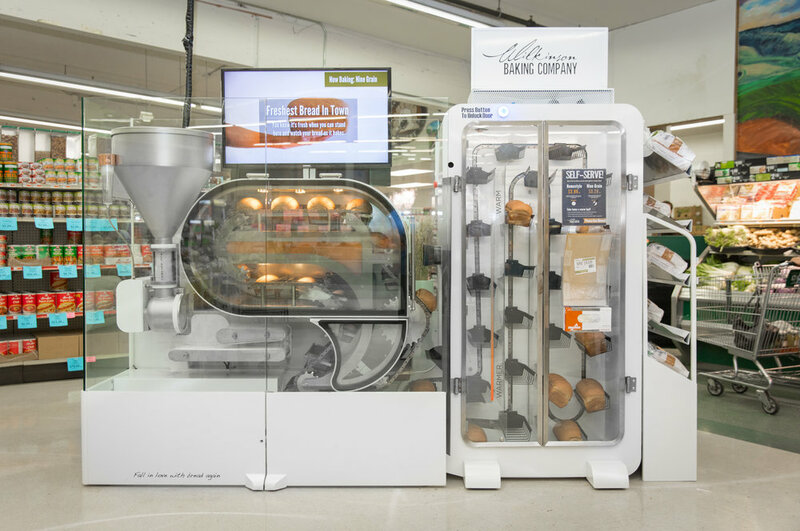 Our client, Wilkinson Baking had a first-generation model of an industrial bread maker. The next generation needed to add features, be internet connected … and be beautiful. 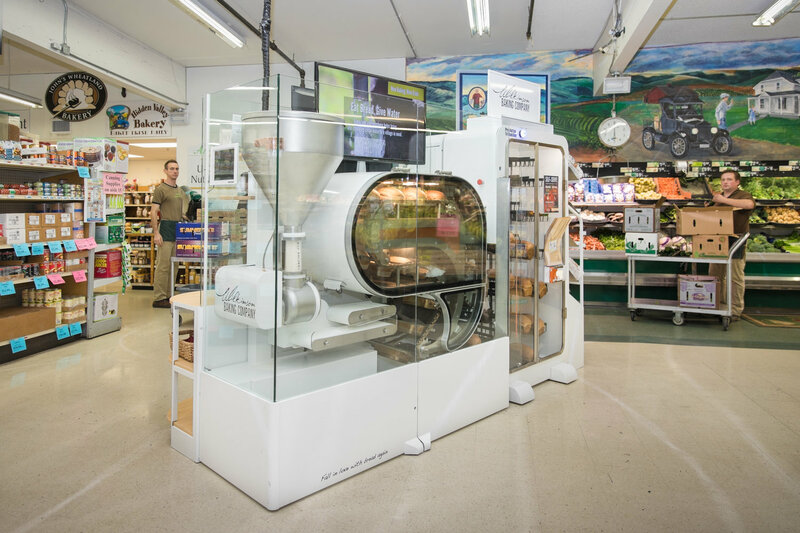 Wilkinson asked the Software Technology Group to help create a bread making kiosk for artisanal bread making. The unit would go in to regional supermarkets to allow purchase of fresh out-of-the-oven loaves that required minimal interaction with the working staff. The system is IoT at its best, allowing real time reports and production agendas. The staff can remotely delineate the automated production and cleaning schedules and view detailed reports of the bread making operation. The staff loads a hopper with a premix of flour and ingredients. Then the system is off and running. The system is automation control based with a secure sign-on web service. It is available in stores throughout the Pacific NW.